Signal Waste operates a fleet of liquid tankers that service Adelaide metro, Adelaide Hills, Adelaide regional and the South Coast. 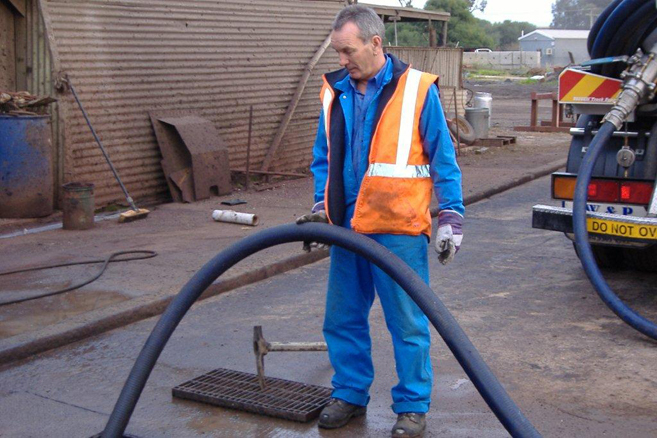 We cater for all commercial liquid wastes and residential septic pump outs. If you are after a grease trap service, trade waste cartage, wash bay clean out, winery waste cartage, septic tank cleaning, aerobic system pump out or holding tank service, then Signal Waste is your liquid waste removal specialist. Your satisfaction, safety, cost effectiveness and reliability are our number one priority when it comes to our liquid waste removal services. We are your local family owned and operated liquid waste pumping company that is fully OH&S compliant, EPA licensed and we look forward to helping you satisfy all SA Water requirements. Our vehicles operators are well experienced, carefully selected, fully trained and meet the highest possible standards. They all have their national police clearance paperwork and have WPCG accreditations to work on service stations and fuel depots throughout South Australia.